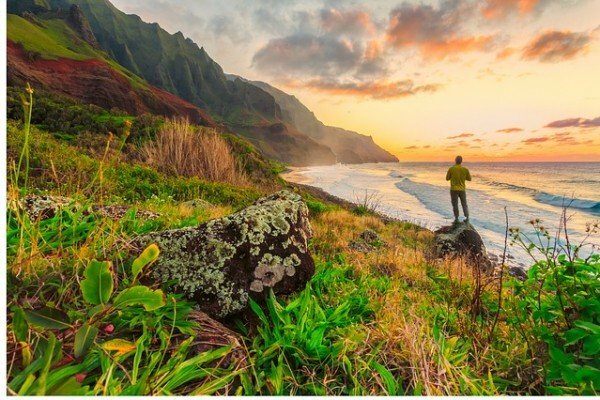 Every season has its beauty, and every year our collective wonder brings about new perspective. This summer, we are inspired by bold patterns, bright color palettes, and a general sense of the free-spirited. 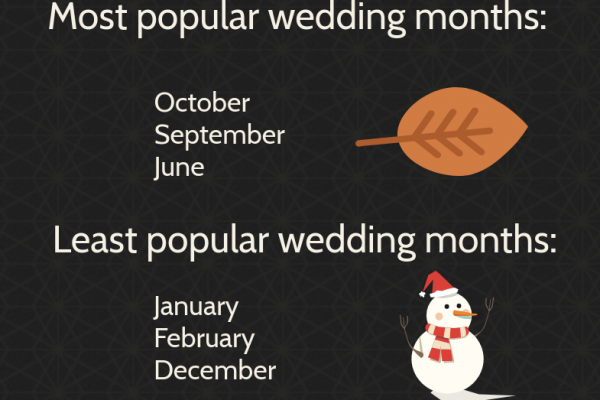 Read on to find out what our favorite wedding trends are for Summer 2015, and let us know whether you agree! The modern bride takes a classic, and puts her own spin on it. 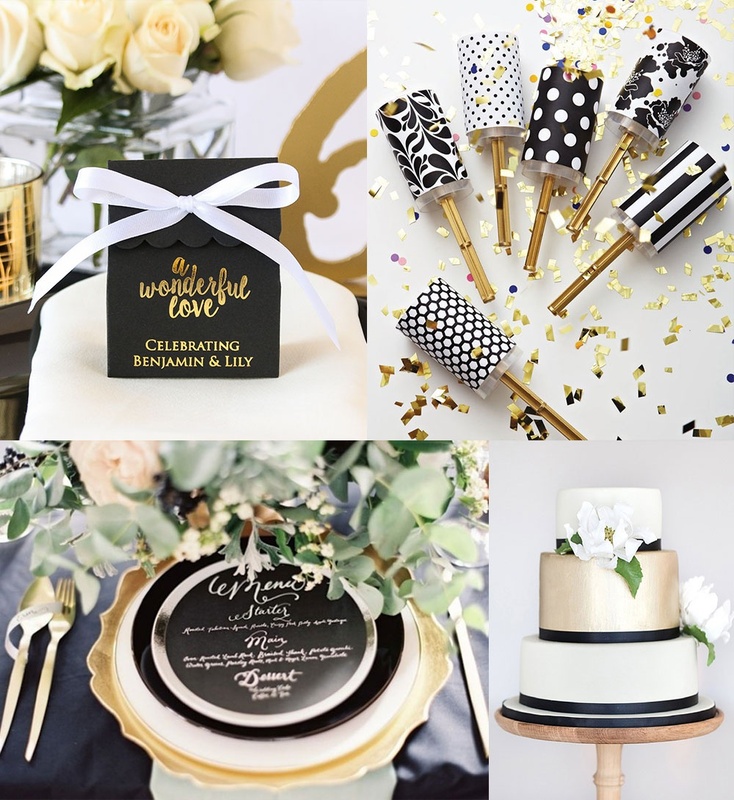 For a classy modern wedding, we love a colored gown, like the black Vera Wang pictured above, and gilded black and white table setting. A dramatic, formal affair, held in a modern art museum is how we would do it, uptown style. If you ask us, two things that never go out of style are the color navy, and stripes. 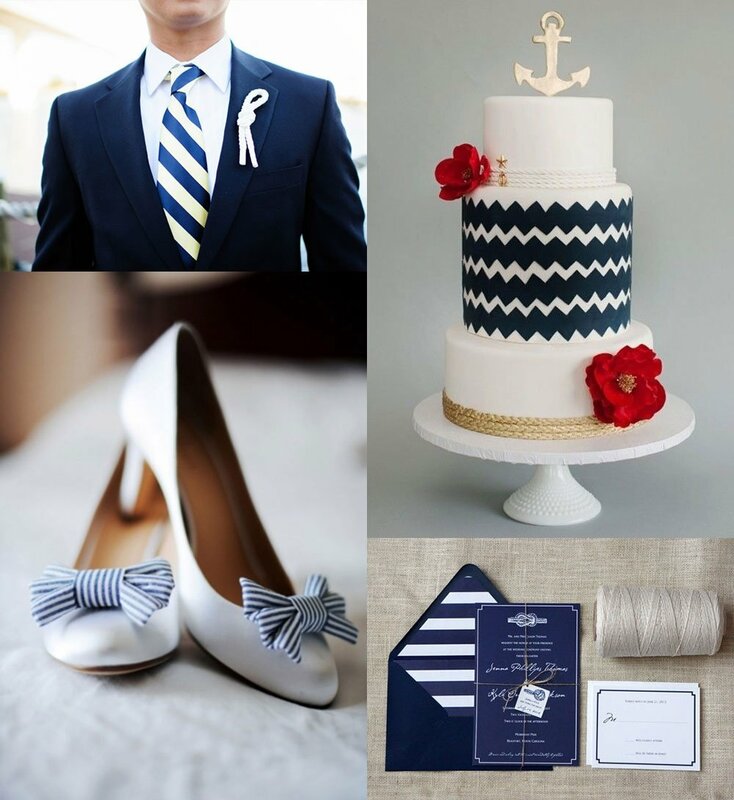 Nothing speaks nautical more than navy blue stripes on a crisp white background. 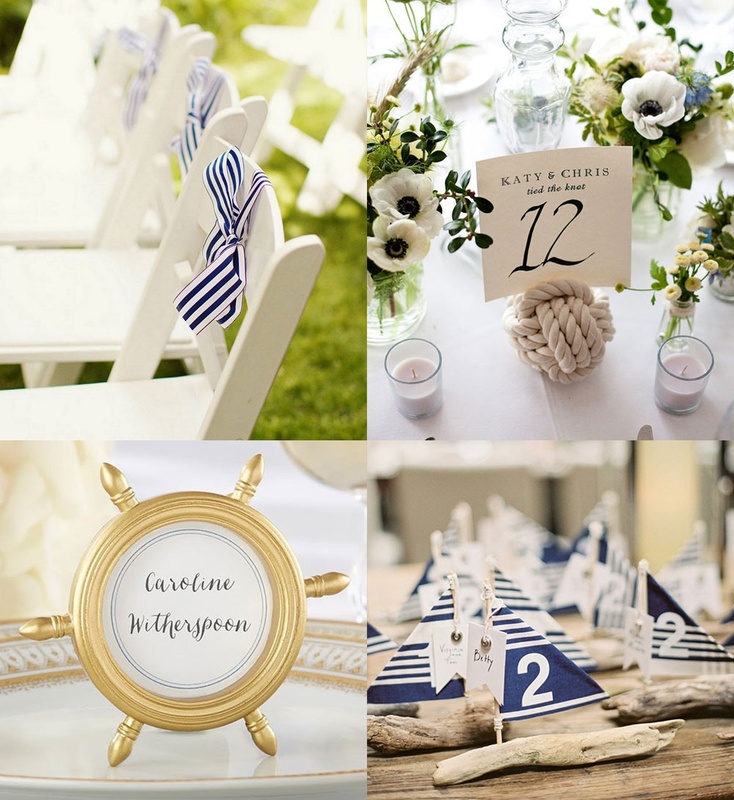 Add in rope detailing, and other sea-worthy items like a brass compass or anchor keepsakes, and you’ll be ready to set sail towards the perfect nautical wedding! 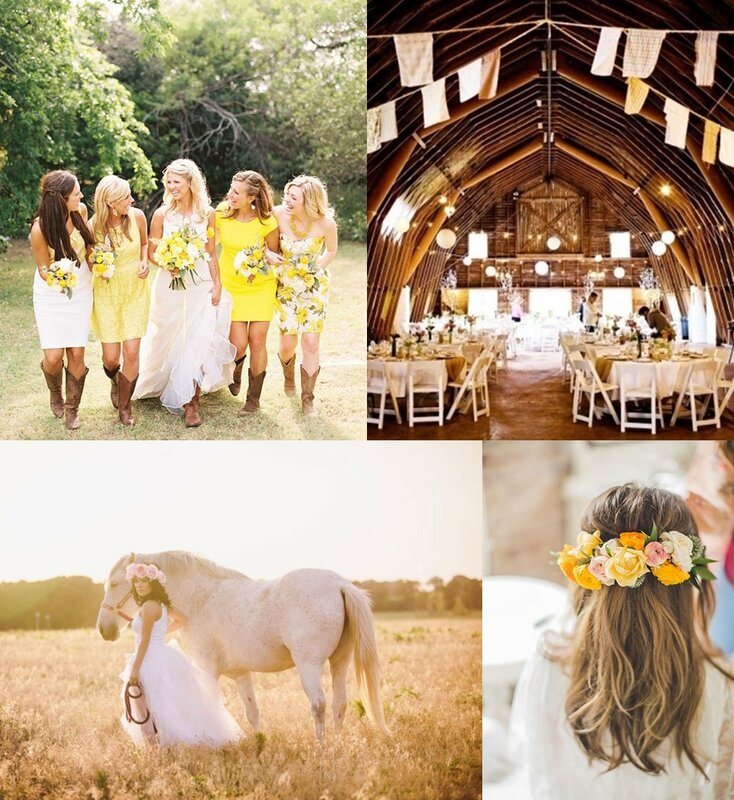 Summer is the perfect season for a rustic barn wedding. 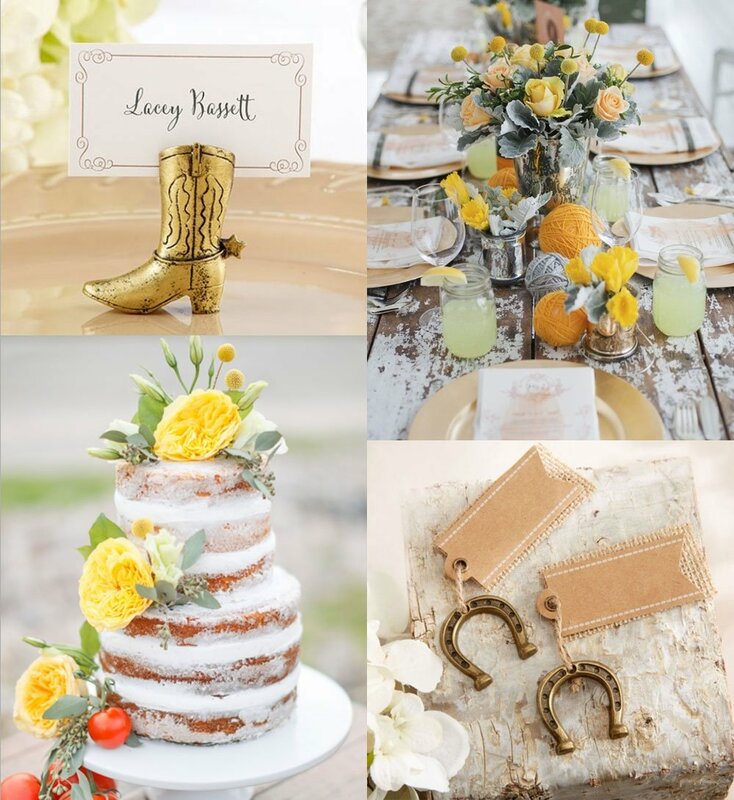 Fresh flowers are a must, as are lucky horseshoes, cowboy boots, and a towering naked cake! Perhaps our favorite wedding trend this summer is the festival bride. This new generation flower child is a free spirit, effervescent and almost floating, like giant balloons. 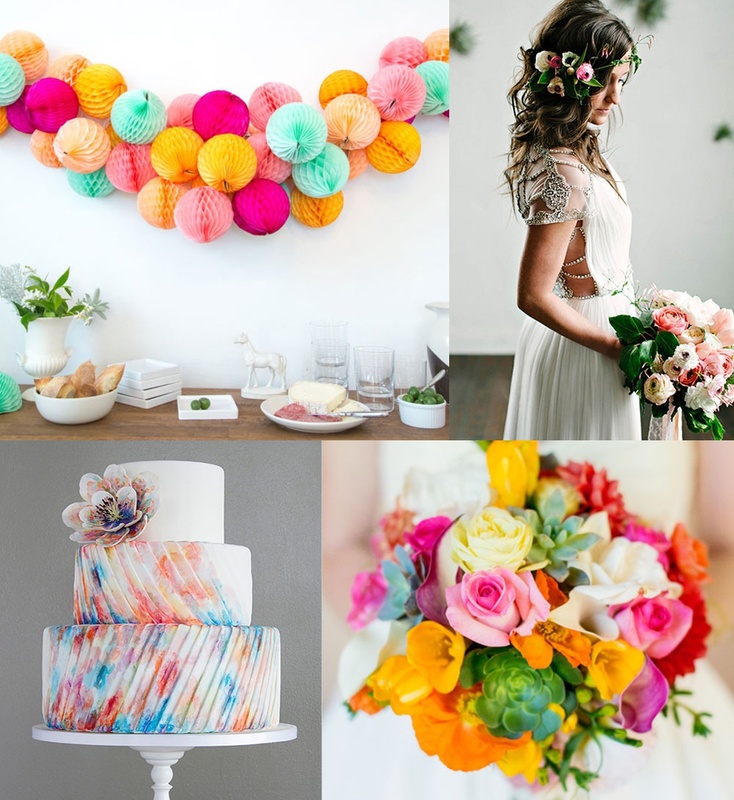 The wedding of the season is an unabashedly fun affair, with splashes of vibrant color everywhere. 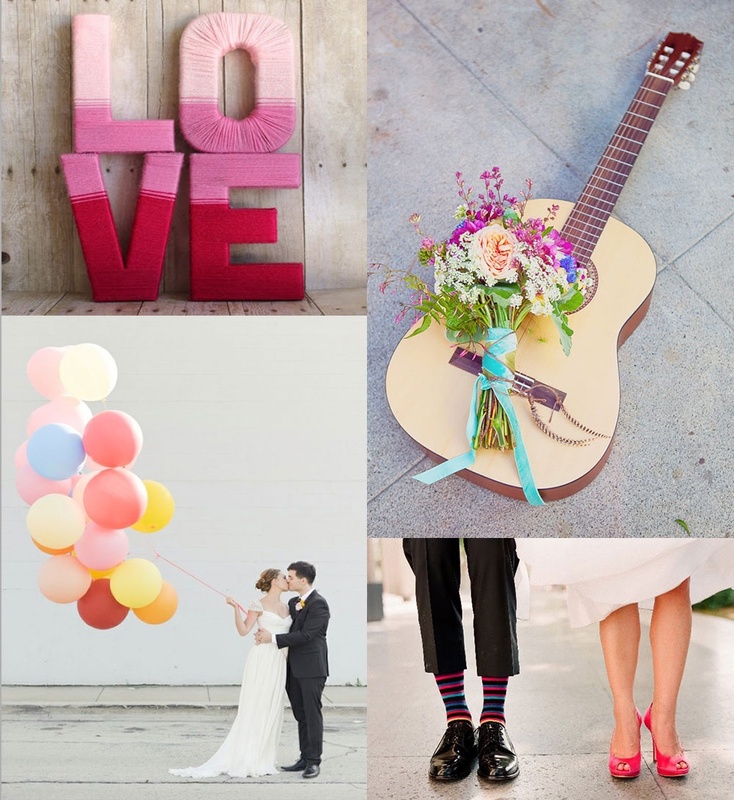 Our indie bride is the epitome of happiness, brought on by love. 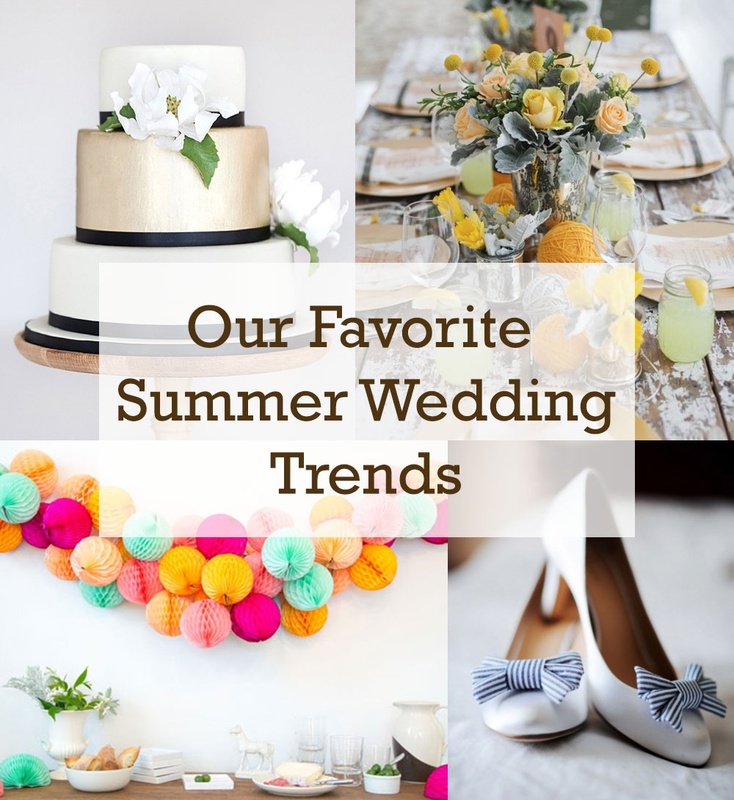 What are some of your favorite summer wedding themes?